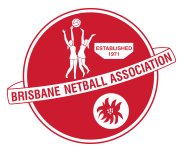 As a result of the big wet on Friday, Brisbane Netball have made a decision to close all courts for training and games at Bradbury Park until further notice and pending an inspection from the BCC. KL Roar – our Open Development Team is raising funds to help them travel to carnivals this year. The first is a Pie Drive. More details on how to order are here.